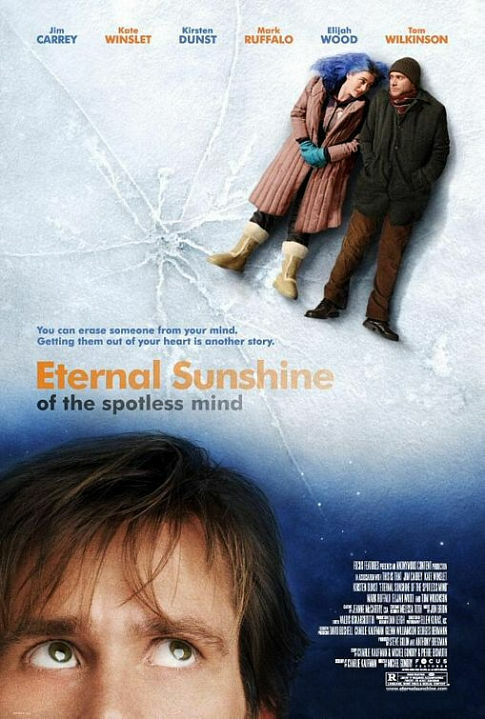 Eternal Sunshine Of The Spotless Mind is a difficult movie to describe. It starts out a little slow and seems like a kind of straitforward love story but then diverges from what you might expect while still managing to be entertaining and consistent. The main twist is introduced very early and so I don’t feel too bad giving it away. It involves a doctor who runs a little clinic that will erase bits of your memory for you. Have you ever wanted to just forget about someone after a bad breakup? Well, this is exactly what they do. The 2 main characters, Joel, played by Jim Carrey, and Clementine, played by Kate Winslet, are a couple whose relationship has become rocky. Joel is a quiet person who internalizes everything and who reminded me of myself a little at times. Clementine is loud and outgoing—the exact opposite. Jim Carrey and Kate Winslet both do an excellent job and their character’s relationship is very believable. What stands out about this movie is that Joel and Clementine’s relationship progression is not just presented in a standard linear fashion. Instead, through most of the movie we are inside Joel’s mind as his memories are being actively wiped. Some of the memories are just straight replays, while in others either he or Clementine is lucid and explaining what is happening or expressing joy or regrets. It was very effective—I wish I could do that with some of my memories and the people who experienced them the first time around! If I had any complaints it was that the middle part of the movie was a bit too long compared with the end and the beginning. Yet even though I kept wondering if something more was going to happen, I never ceased to be entertained by what was going on in the moment. This is a great movie and I definitely recommend it.